Alstom has been awarded the supply of 600 X’Trapolis Mega commuter trains (3,600 cars) over a period of 10 years, for the suburban network of South Africa. 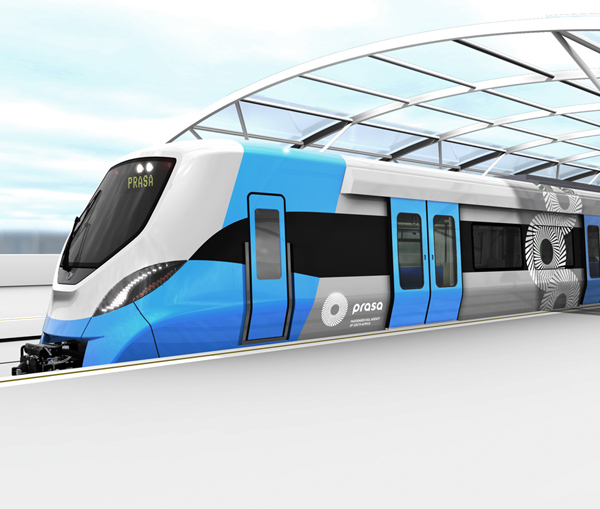 Alstom, PRASA (Passenger Rail Agency of South Africa) and Gibela have now closed the financial part of the contract, signed on the 14 October 2013, which also includes the construction of a local manufacturing facility in Dunnottar, 50 km east of Johannesburg. In addition, Gibela will provide technical support and supply of spare parts over an 18-year period. The overall value of this contract is worth € 4bn. The project will create over 1,500 direct jobs in the local factory and 33,000 indirect jobs over 10 years. All the Alstom’s plants all around the world will be involved in the project, such as French sites in Ornans, Tarbes, Le Creusot, Reichshoffen, Villeurbanne and Saint-Ouen as well as the sites in Sesto in Italy and Charleroi in Belgium. Gibela is a joint venture led by Alstom and co-owned by local shareholders, Ubumbano Rail and New Africa Rail. The company will establish a state-of-the art manufacturing facility in Dunnottar, localise the manufacture of components for the new fleet and create jobs on a sizeable scale. Gibela will facilitate the development of local rail-sector relevant skills and the transfer of technical know-how. The X’Trapolis Mega (MEtric GAuge) is specifically designed to fit South Africa’s 1.067 m gauge. It can travel at speeds up to 120 km/h and it’s equipped with ERTMS Level 2; it also permits a 31% of power consumption saving thanks to a 66% motorization ratio (6 cars unit) and a lighter stainless steel bodyshell. The first 20 trains will be produced at Alstom’s Lapa plant in Brazil. Then the 600,000 m² manufacturing site in Dunnottar will produce the 580 trains destined for manufacture in South Africa and will house an engineering centre and training facility.